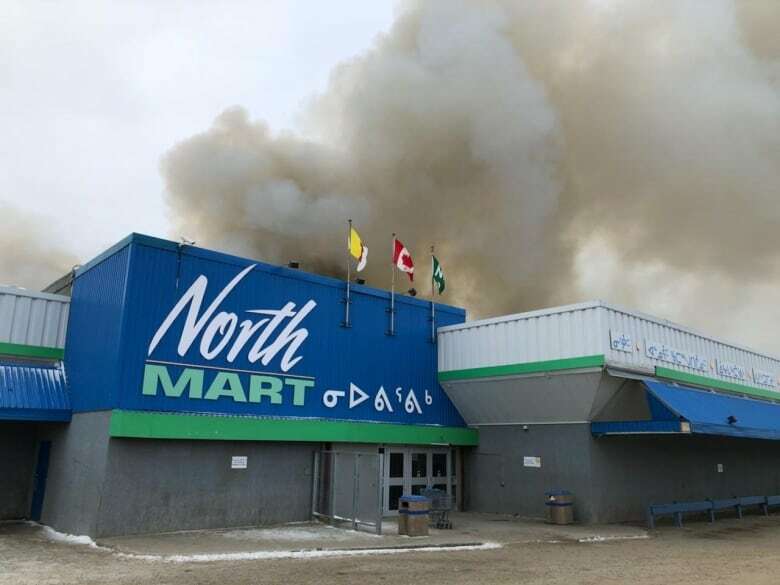 Northern Shopper, an Ottawa company that ships goods to Nunavut, says orders have come pouring in as word of a major fire in one of Iqaluit's two grocery stores spreads. An Ottawa company that ships goods to Nunavut says orders have come pouring in as word of a major fire in one of Iqaluit's two grocery stores spreads. Northern Shopper sends staff out to shop on behalf of residents of the territory's Qikiqtaaluk region and then ships those packages up north by plane or, in the warmer months, by boat. Kit MacKinnon, the company's president, said they started receiving orders as early as 6 a.m. Thursday as people woke up to the pillar of black smoke coming from Northmart, which sells groceries and other supplies. "I had to bring in extra staff, extra shoppers. We're hoping that some people work through the weekend so we can catch up," MacKinnon said. Cindy McDonald is a shopper who also packs cargo for the company. "Demand is going up. Orders are coming in. We're going to be busy for a while," McDonald said. "[People want] fresh produce. They want the meat, the bread — the basic perishable food that everyone wants in their homes." On Thursday, the company received about 50 personal orders, or as many as they normally get in a week. MacKinnon said most of the orders are for fresh food — including for the company that supplies Iqaluit's restaurants and a farmer's market — but they've also included dry goods that are normally shipped by sea container. "We don't normally send dry goods up by air because it's very, very expensive," she said, pointing to a package of diapers. "[But] people are worried they're not going to have diapers up there. They're going to pay extra to ship it — I can't help that." MacKinnon said the airlines Canadian North and First Air have reached out to the company to say they're working to accommodate larger shipments. Since the final sealift before Frobisher Bay freezes had arrived shortly before the fire, the resulting loss of storage space at Northmart could be felt throughout the winter. Nunavut MP Hunter Tootoo said air shipments are continuing to the community, bringing between 50,000 and 60,000 kilograms of goods that Northmart is coordinating with other retailers to get into customers' hands. "It will all get out there. I'm hopeful and I'm pretty sure there won't be a food shortage," Tootoo said. Tootoo also said the local, territorial and federal governments are working on a response to the fire and will be coordinating once the damage has been assessed.